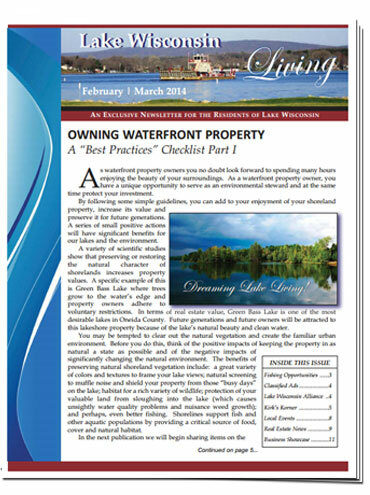 Lake Wisconsin Living is a new, bi-monthly publication with articles about Lake Wisconsin and the surrounding area. This newsletter will be a valuable resource for local residents and visitors alike as it will contain resident articles, newsworthy information, calendar of events, fishing reports and business advertisements. Sign-up today & start receiving Lake Wisconsin Living!